Learn how to embed Loom video as an iframe inside your Bit documents to create training guides, answer customer service questions, create sales/marketing material, provide visual feedback and more quickly and easily! Communication is a crucial part of any business. From employees, teams, to clients and customers, communication plays a huge role in forming meaningful relationships and getting messages across for better understanding. However, communication can be tricky. A lot of it has to do with the way we handle communication via our email and chat applications. We often rely on text-based communication to share information or explain data to someone. This text-based communication via email or chat often takes a lot of time to explain and express simple things. With so much time spent on answering customer queries, sharing meeting notes, or explaining a process via email, your productivity takes a huge hit. According to Carleton University researchers, people now spend one-third of their time at the office – and half of the time they work at home – reading and answering emails. And 30 percent of that time, the emails are neither urgent nor important. That’s 11.7 hours spent at work and 5.3 hours at home every week! A better way of sharing information and maintaining productivity is by using visual content instead of text and email. In fact, according to researchers, only 10-20% of text is recalled. But, people recall 80% of what they see. Thus, sharing your messages using videos is increasingly becoming an important way to communicate online. There’s an awesome Chrome Extension that our team uses that lets you do just that and more! USE LOOM FOR BETTER COMMUNICATION! Loom is a Chrome Extension that lets users communicate with each other using videos. It is a simple plugin that you can install on Google Chrome which then lets you create instant video responses, attach it to Gmail and send it off. 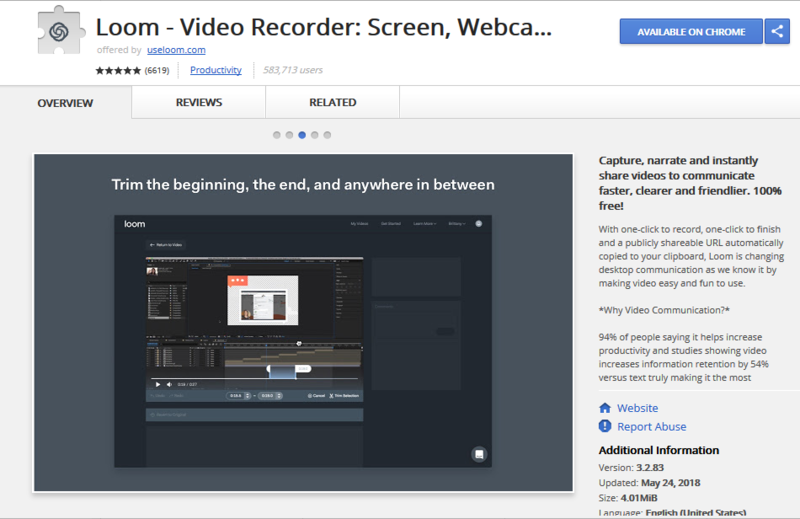 Loom is a simple tool that lets you record videos for any business purposes- whether you want to record a detailed video response to an email, share a video response to a customer question, embed video tutorials on your website, share quick videos on social media, etc. 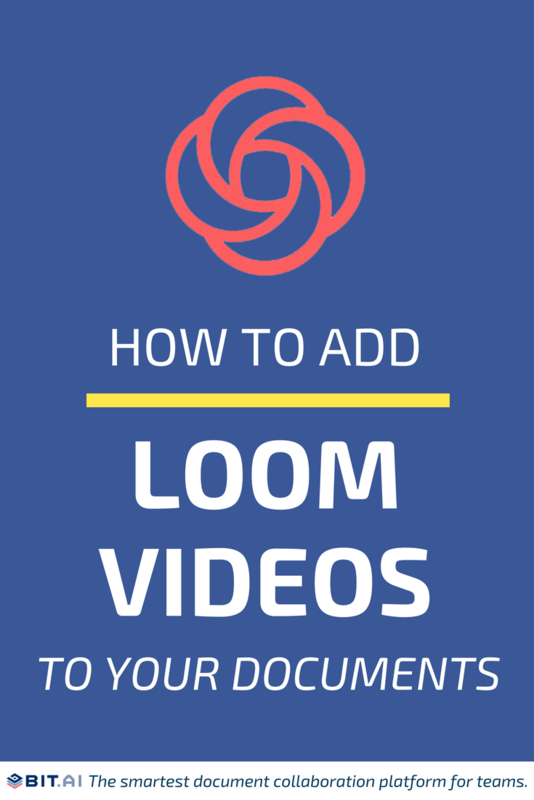 When you record a video using Loom, the video will be automatically saved to your video library. You can download these videos anytime or share them using a link without ever downloading them. This is a simple and convenient way of sharing videos. Apart from recording videos, you can also conduct a screen capture video and have the option to include your face in a small bubble at the bottom of the screen. This allows you to quickly address a lot of business situations where a text response just doesn’t cut it! So What About the Rest of Our Workplace Communication? Even though tools like Loom makes it easy to create quick videos to communicate, collaborate, and get the message across effectively, there is still a major reason why communication is broken. Unfortunately, there are just too many apps and there’s isn’t a cohesive way to communicate with your colleagues or clients. Take the example of creating your documents in Google Docs or Microsoft Word, sharing them via email, Slack or any other messaging service, and storing them in Google Drive, Dropbox, OneDrive or some other cloud storing service. Basically, you create your files in a document editor, share them via email, get notified about the email via a messaging app, and store them in the cloud. When you have your important content scattered around different devices and tools, your productivity always take the backseat. The more tool you use to make your work life better, the more complicated your workflow becomes and the less effective your communication will be. Bit.ai is a new-age document collaboration and communication tool that helps teams collaborate, share, track and manage all your company knowledge in one place. Bit helps you create documents of the future that are dynamic and much more than plain-boring text. Thus, apart from allowing multiple users to collaborate on documents, Bit also allows users to share any sort of rich media like YouTube videos, SoundCloud Playlists, Google Docs, One Drive Excel Spreadsheets, GIFs, Tweets, Loom videos, etc. Basically, anything on the internet with a link (i.e. www.example.com, https://example.com) can be shared and Bit will automatically turn it into visual content. So How Exactly Can You Use Loom and Bit Together? Once you have logged into Bit and have created your documents, the next step is to install Loom’s Chrome Extension and bring these two awesome products together. Customer Service: Quickly create troubleshooting guides or answer customer questions by creating documentation with Bit and including interactive Loom video content inside your dynamic document. It’ll add a personal touch to the content you’re creating. Training: Use Bit to document knowledge of the organization (business process, product specifications, how-to guides, training documents, etc.) so that employees and clients can quickly access the information without feeling lost. Use Loom video to enhance their learning experience by incorporating video tutorials wherever necessary. Onboarding: Use Bit to create onboarding documents like software used, HR policies, company hierarchy, work and vacation schedules, etc. You can use Loom to create introduction videos by team members and create a strong connection which will help them feel like a part of the team quickly. Design: Use Bit documents to share and PSD files of company logos, design best practices, recommended color-schemes, design work for inspiration etc. and brainstorm ideas with teammates. Use Loom to express your thoughts regarding the design and give detailed feedback expressing what you feel about the color composition, texture, placement, etc. Legal: Use Bit documents to create contracts, legal policies, approval guidelines, etc. Sometimes, these legal documents can contain a lot of text and can be difficult to follow and understand. Adding a Loom video to explain some of the complex legal topics can be a good way to make sure your employees or peers are onboard. Sales: Use Bit documents to create and share sales strategies, sales enablement documents, prospect information, etc. You can add video sales pitches using Loom to build credibility and trust and better enhance the sales experience. Management: Use Bit to share information about reporting officers, policies, procedures, etc. Use Loom videos to share major company announcements and team updates to keep everyone up-to-date with what’s happening in the company or department. Teams: Teams can use Bit documents to create meeting notes, brainstorm documents, etc. and share them with each team member. However, since many of us work remote and are often in different time zones, we often have to join a meeting early morning or late at night. A better way would be to record your team meetings with Loom and share meeting notes with all employees on Bit. To fully grasp the idea of the notes, team members can easily watch the meeting video at their own chosen time and get up to speed! Installing Loom onto your Chrome browser is extremely simple. In fact, it takes only a couple of clicks to get it up and running on Chrome. Go to Loom’s website and click on the “get Loom” button. Click on “get the extension” button and voila! Loom will be installed on your Chrome browser in seconds. Now that you have installed Loom on Chrome, you will see a little Loom icon on the top left side of your browser. Click on it to record videos or screen capture. Once you have created your Loom video, copy the video link directly from the URL bar. Alternatively, you can also copy the video link from the share button below the video. Step 4: Open up your Bit document and paste the copied link on a blank line and hit enter. Bit will automatically fetch the video which can then be played directly from in your Bit document. Do you use Loom? Share your thoughts on how this type of workflow between Bit & Loom can affect the work you do!